It lists best 5 Christmas party ideas to have a 2018 Christmas party full of joys with kids and families. Christmas is around the corner. Are you getting ready for celebrating this grand holiday? Some of you may have a well-thought-out plan to have an enjoyable Christmas journey, while some others may prefer to hold a Christmas party at home with families. If so, some great Christmas party ideas are probably necessary arousing your inspiration to plan a funniest 2018 Christmas party for kids and families around this biggest festival season. 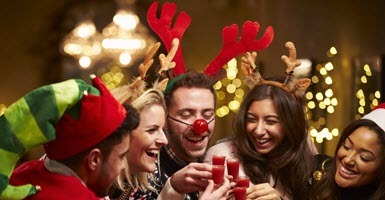 How to Get More Interesting Christmas Party Ideas? A lot of creative videos about how to hold an excellent Christmas party are uploaded to YouTube and other online-video sharing sites by good advisers. If you are in a trouble of how to bring a warm and sweet Christmas party to your family, those videos can be a big helper. What's more, it is highly suggested to download them for offline or movable playback with the best online video downloader - WinX YouTube Downloader. It is superb to grab fun and simple Christmas party ideas to DIY your holiday rather than hold a luxurious Christmas party or only have Christmas dinner with family. Here, we summarize best 5 Christmas party ideas 2018 to pour energy and smiles into party. An elegantly decorated Christmas tree is essential for Christmas party. So, how to decorate a Christmas tree? First of all, a well-spaced tree is pretty great for decoration. If you prefer a real tree, please keep it in fresh by watering moderately and wear it in a tree skirt catching falling needles. Secondly, hang string of lights (best 3 100-light sets for every foot of real tree or about 12 boxes of 50-light strands for artificial tree) from top to bottom and separate the lights evenly. Notice: please make sure the boxes of lights are all compatible and the wattages of all rights are the same for safety. Thirdly, wrap tree with garlands or ribbons. Buy 10 feet for every foot of tree or more to be safe. 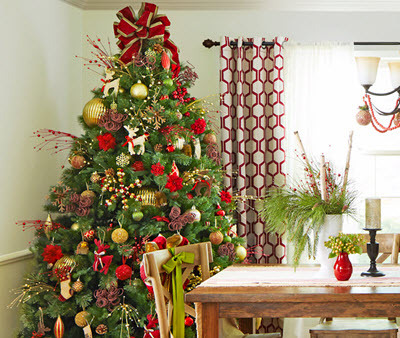 You can choose 2 or 3 types of garland (made of popcorn, cranberries, candy or other materials) to make tree more elegantly and hang them vertically, letting them float from top branches to bottom. If you want to use ribbons for garlands, the medium width of ribbons (either in patterned or plain styles) is the best. Finally, add tree topper and ornaments. Get your favorite tree topper and then hang colorful ornaments in classic Christmas red, green or other colors like silver, gold, even themed-designs on Christmas tree averagely. To bake cookies with families is one of greatest Christmas party ideas to sweeten your holiday. Traditional Christmas-themed cookies shaped with Christmas tree, star, candy are always popular. Easy chocolate cookies and nut cookies are voted as favorite by most people as well. In addition, unusual shaped or flavored cookies can increase more funnies in Christmas, gingerbread cookies, snowball cookies, peanut butter cookies, M&M cookies etc. 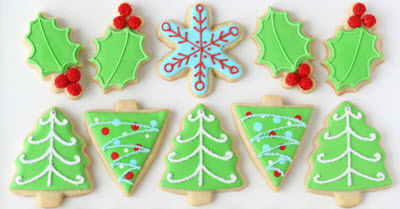 If you are not an experienced cookie baker, prepare tools like cookie cutter/cooling grid, edible food coloring/paint brushes, creams, sugars (if you want to decorate cookies) and follow the recipes to make Christmas cookies easily. To exchange Christmas gifts in an imaginative and extraordinary way should be a wonderful Christmas party idea to make surprises for your kids and families. Alternative to directly deliver family members present, it is more interesting to add a gift search game in Christmas party. Everybody needs to start out seeking for gifts deeply hided in mystery places once “Ready Go!” shouted by the host or music stop. Plus, the host can require players to dance in a circle to have more fun. Certainly, some other ideas as to introduce a gag gift, to launch a guess game of what the gift is, or make gifts by hand with kids on party. ▪ Mary, Did You Know? It is a good idea to have a Christmas movie party getting in the holiday spirit for families who hope to spend a peaceful but warm Christmas day. 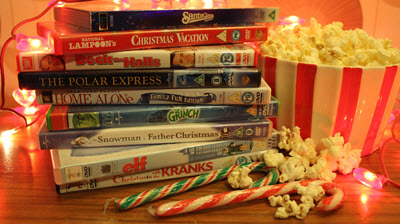 Assemble whole family in front of fireplace and enjoy best Christmas DVD movies or online Christmas movies on HDTV. During or after movie time, to discuss or review this film about plot, favorite characters, highlight moments etc, is also can bring family members closer. Tip: if you have trouble with how to preserve the fragile DVD discs, you can rip/copy your Christmas DVD collection as digital files in MP4 (H.264), AVI, MOV, MPEG2, etc, on PC/Mac using a fast DVD ripper. Apart from the above best 5 Christmas party ideas 2018 , there are some other great ideas like Christmas craft party for kids, competitions of snowman building, snowball throwing and yard decoration party. In short, hope anybody have a happiest Christmas party. WinX HD Video Converter Deluxe enables you to free download Christmas party ideas videos from 1000+ sites etc, to PC/Mac and portable devices helping you learn how to hold a wonderful Christmas party. It is also available to download Christmas movies/songs in HD MP4/MP3 at a sharp speed. In addition, this all-in-one video downloader and converter can convert any recorded Christmas party videos to web video formats for sharing on YouTube, Facebook, Instagram and similar sites.